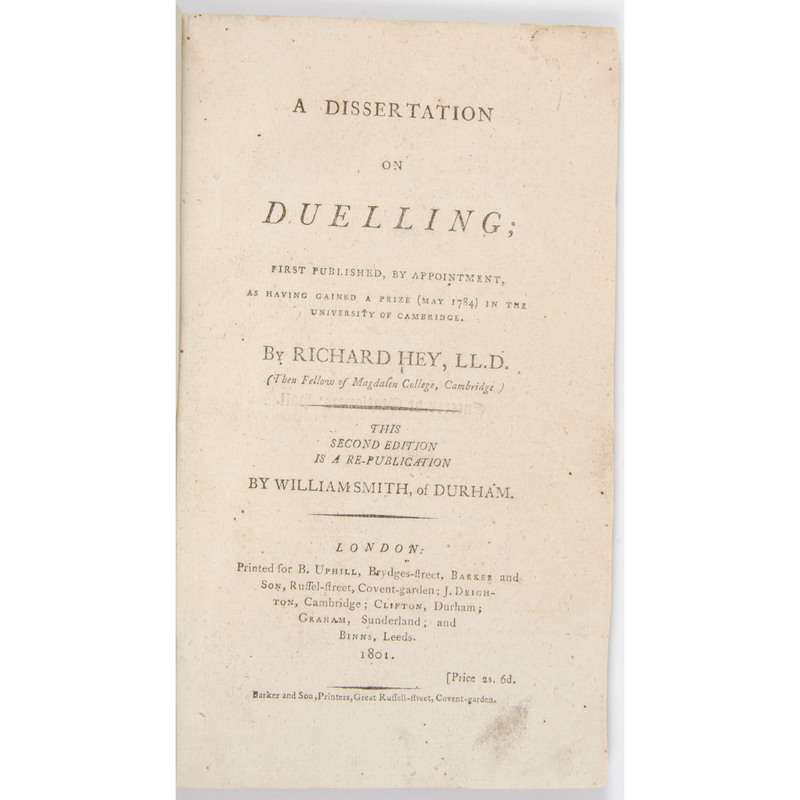 [Sporting - Duelling - Gaming] A Dissertation on Dueling, 2nd Ed., Richard Hey, 1801, and A Dissertation on the Pernicious Effects of Gaming, Richard Hey, 2nd Ed. Hey, Richard. 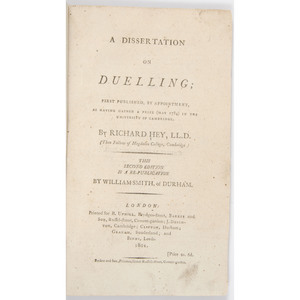 A DISSERTATION ON DUELLING; FIRST PUBLISHED, BY APPOINTMENT, AS HAVING GAINED A PRIZE (May, 1784) IN THE UNIVERSITY OF CAMBRIDGE. London: B. Uphill, et. 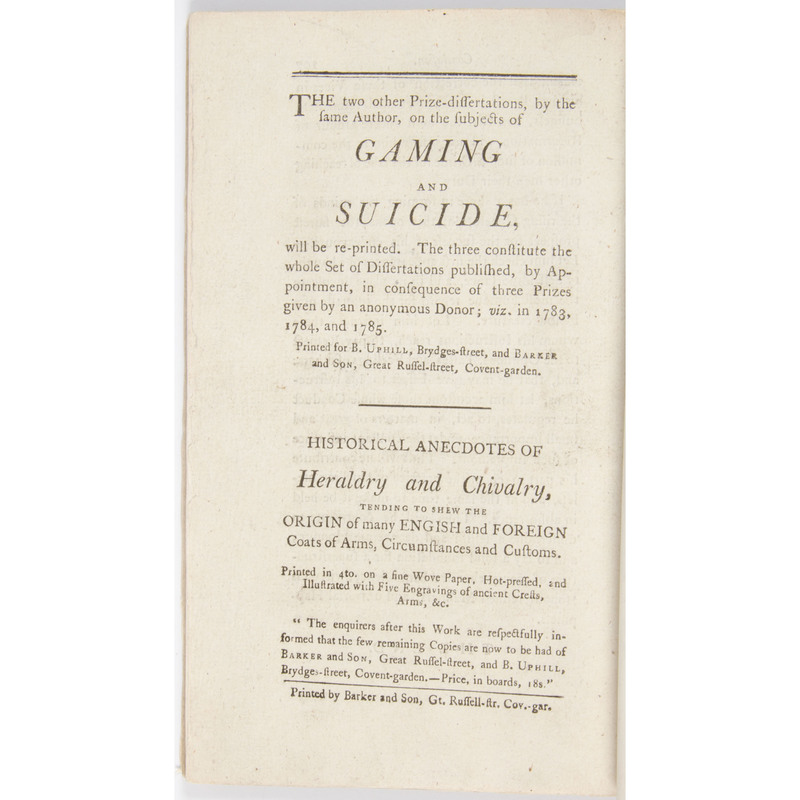 al., 1801. 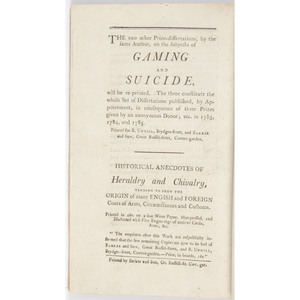 2nd Edition A Re-Publication by William Smith, of Durham. 8vo, 107 pages. Disbound. Hey, Richard. 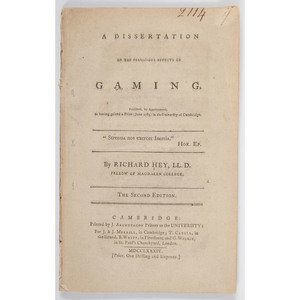 A DISSERTATION ON THE PERNICIOUS EFFECTS OF GAMING, PUBLISHED, BY APPOINTMENT, AS HAVING GAINED A PRIZE (June, 1783) IN THE UNIVERSITY OF CAMBRIDGE. 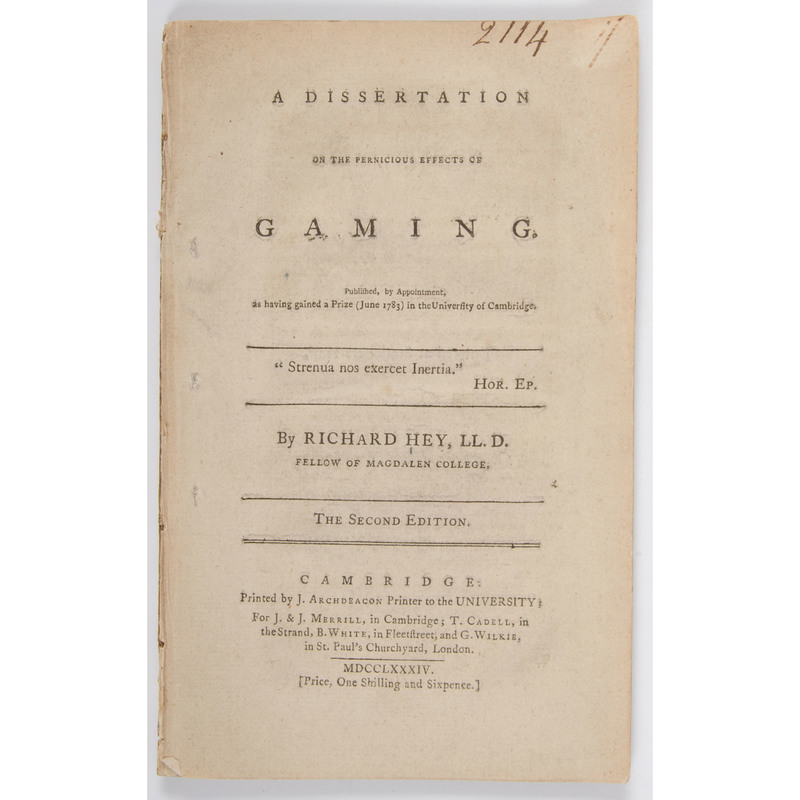 Cambridge: J.& J. Merrill, 1784. 2nd Edition. 8vo, 100 pages. 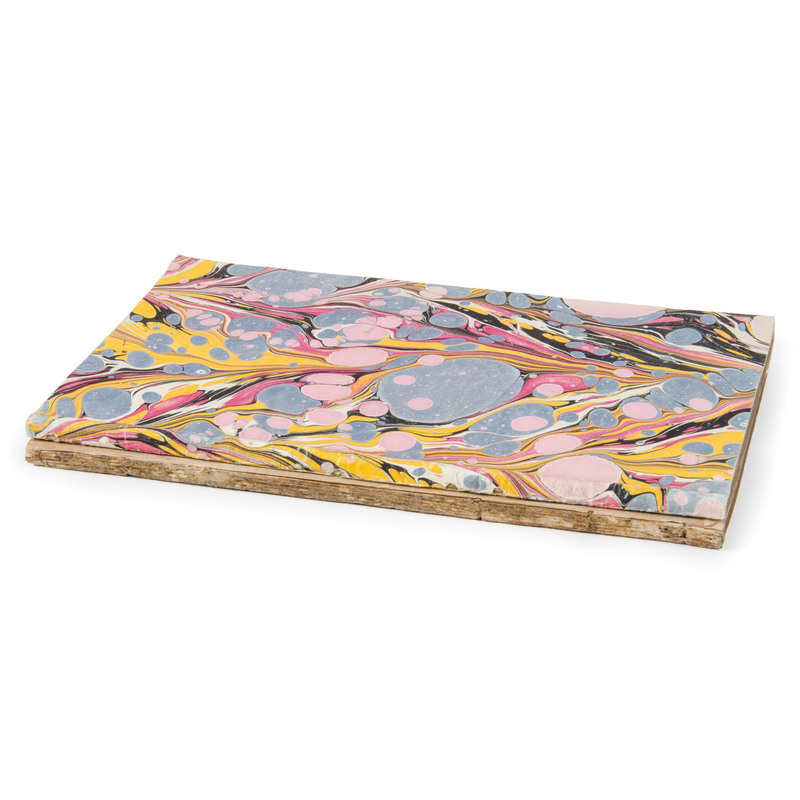 Disbound. Disbound but complete and clean - deserving of new bindings.